Discussion in 'GekiHEN [Homebrew Competition]' started by STLcardsWS, Sep 12, 2016. To get some idea's rolling and to have a little fun. List your serious idea's and get a random chance to win a random PSN game code. jolek, Wirus, nCadeRegal and 1 other person like this. I'll start this off with something that may or may not be possible using the Vita HW. A WEP/WPA wifi key cracker, a port of the open source Reaver maybe. You never know when you might need to responsibly use someone else's wifi! BTW: I gave @STLcardsWS his 1000th like earlier on today! Death_Dealer, atreyu187, STLcardsWS and 1 other person like this. "True backup app" is the idea. Fully backup of all per user ID's/keys, saves and trophies with possibility to restore it - over FTP. A diverse set of plugins, look in the Psp, and ps3 resource section, there's a ton of em. This is what I hope comes from this comp the most. There were projects anyway, I think the PSP's HW (CPU and Wifi) was a little too slow. It would probably be possible on the Vita, WEP at least. Share Content between PlayStaton Devices (Example - Stream roms / movies stored on the PS3 to the PSTV). .and /or possible Remote play capabilities.. (PS3 to PSTV, or PSTV to PS3 ). . In general i would like to see some cross platform PlayStation brew., homebrew that interacts with each other. To stream movies on the above might as well throw in a media player. to the idea box as well. 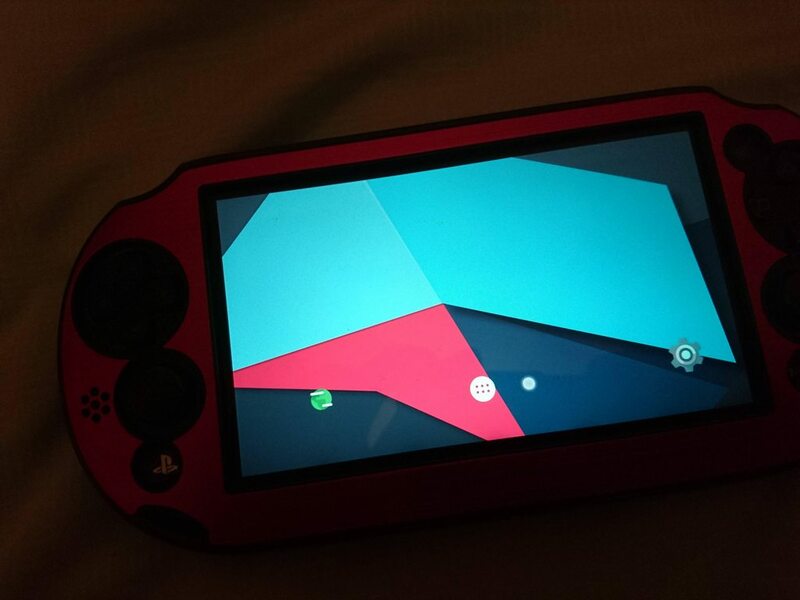 Would anyone like to see a port of CyanogenPSP to Vita? I want to make sure this something people want before I go with this. The 3DS version itself is still in ALPHA for almost a year. An advantage is that the VITASDK has similar functions to PSP, so we won't be facing too many problems in porting. STLcardsWS, nCadeRegal, kozarovv and 1 other person like this. Of course we want to! Edit: But also with pstv support, or it doesn't count. bitsbubba, STLcardsWS and Joel16 like this. Haha, I'm considering it. Vita scene is no where near as toxic as the 3DS one. I cant think of the name of this but the ps3 just recently saw this start happening in the last year, but the Psp had it for years in the cfw. A sort of vsh menu when you hit select to enable quit setting changes in the fly, adjust plugins, clock settings, bubble editing, an all in one hidden submenu. It would allow to stream videos, music and ISOs stored on the device to the PS3 using multiMAN, webMAN or wMM. nCadeRegal, STLcardsWS, atreyu187 and 2 others like this. Wow something less toxic then the Bits scene? Hard to fathom that, but onto ideas an FTP client/server to FTP from the system to PC or whatever for that matter. And I would love to see Kodi ported. stussy, STLcardsWS and Joel16 like this. I'd like to see a nice emulator frontend release. Something like RetroFE which works with Retroarch pc build. A nice emulator frontend adds so much nostalgia and content to retro gaming. ed89, STLcardsWS and Joel16 like this. This/\. Come on @aldostools, make this a reality. If anyone can do it you can. Webman on vita, or irismanvita the first true one for one backup manger. Where do I sign up. Sorry, but I don't have any interest on PSVITA scene... IMHO it's a handheld that borned dead (Sony ignored that the tablet market was emerging and it eventually killed it). Plus very few gamers had interest on it, due a PSP had (and IMO still has) more "value" due CFW. bguerville and nCadeRegal like this. For me from the Vita side of it not much interest (if you do not have a vita). However i think the PlayStation TV / Vita TV changes that a bit, its like a massive price drop. Look at what you can pick up a Vita TV / PSTV for and what it can do in terms of just retro gaming. Then using the 1gb internal storage (which is not much ) but you can get a decent amount of retro on there with no memory card. From a homebrew standpoint i think there is appeal in the micro console. /.. Handheld you make a point. I think the Gem is the PSTV by far. bitsbubba, Joel16, aldostools and 1 other person like this. i'll give some random prizes out tomorrow, so get some suggestions and idea's flowing. ConsoleHax, bitsbubba, atreyu187 and 1 other person like this. How about a new kxploit for PSP/PS1 CEF's again? nCadeRegal, law56ker and bitsbubba like this. bitsbubba, STLcardsWS, kozarovv and 2 others like this.